Would like to learn the ins and outs of a converting checkout process? 76% is an average abandonment rate within e-commerce industry. Let’s calculate. If you have a $10,000/mo sales revenue, a small reduction of abandoned carts just by 10% will generate you additional $12,000 of sales revenue a year! 80% of users prefer auto-formatted credit card spaces. 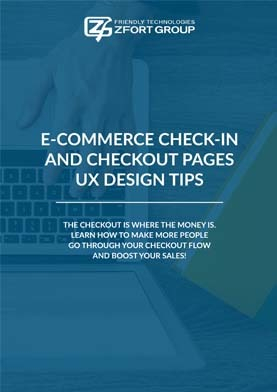 The checkout page on your e-commerce website is the “make or break” moment. Just another quick fact to consider: a whopping 76% of visitors leave your online shop empty-handed. Sad news, but we know what to do about it. Ways to engage with one-time buyers. Are you ready to get a dose of inspiration?